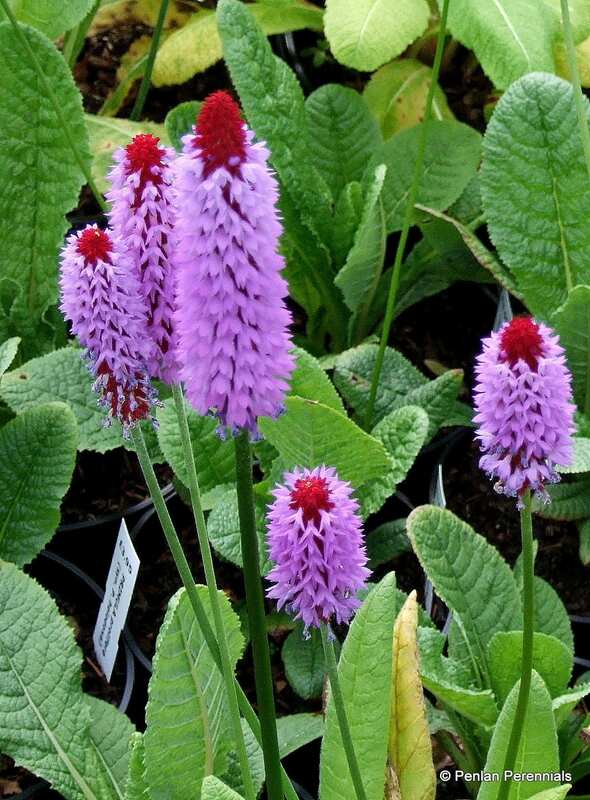 Commonly known as the Orchid or Pagoda primrose. 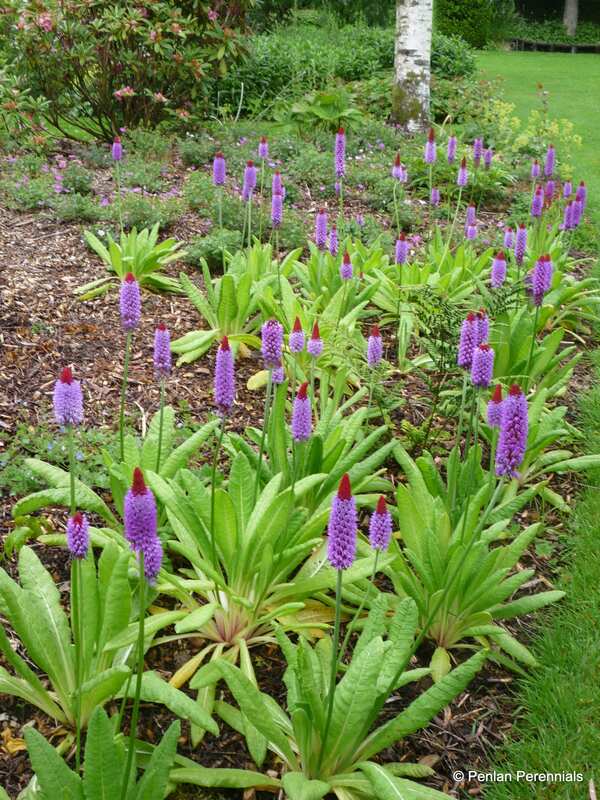 It has rosettes of deciduous, lance-shaped, hairy leaves which appear in late April, later than most primroses. The spikes of red calyces have blue-violet flowers opening from the bottom upwards and each spike can have over 100 flowers densely packed on the stem. It grows best in moist, humus rich but well-drained, neutral to acidic soil. It looks good by water or in shady borders. Hardiness rating H5. Mulch with leaf mold in autumn to protect the crown during wet winters. Add an organic fertilizer in spring, such as blood fish and bone. To propagate sow seed in late winter or early spring at 68°F (20°C). Do not cover the seed. Seed raised plants flower in their second year. Alternatively propagate by division after flowering.